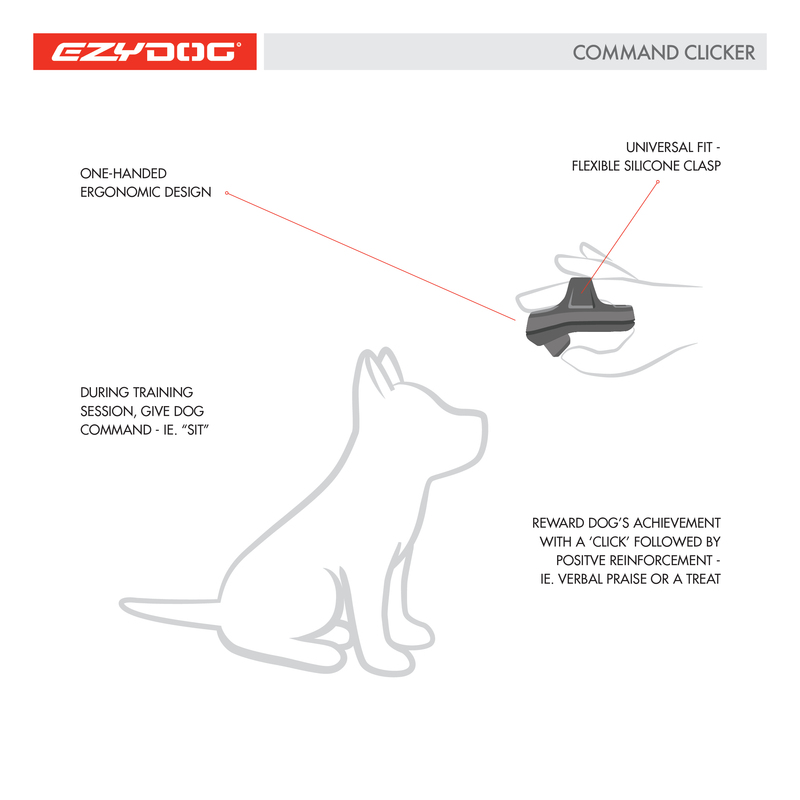 The EzyDog Command Clicker is a unique tool for training dogs - A dog clicker that fits on your finger. 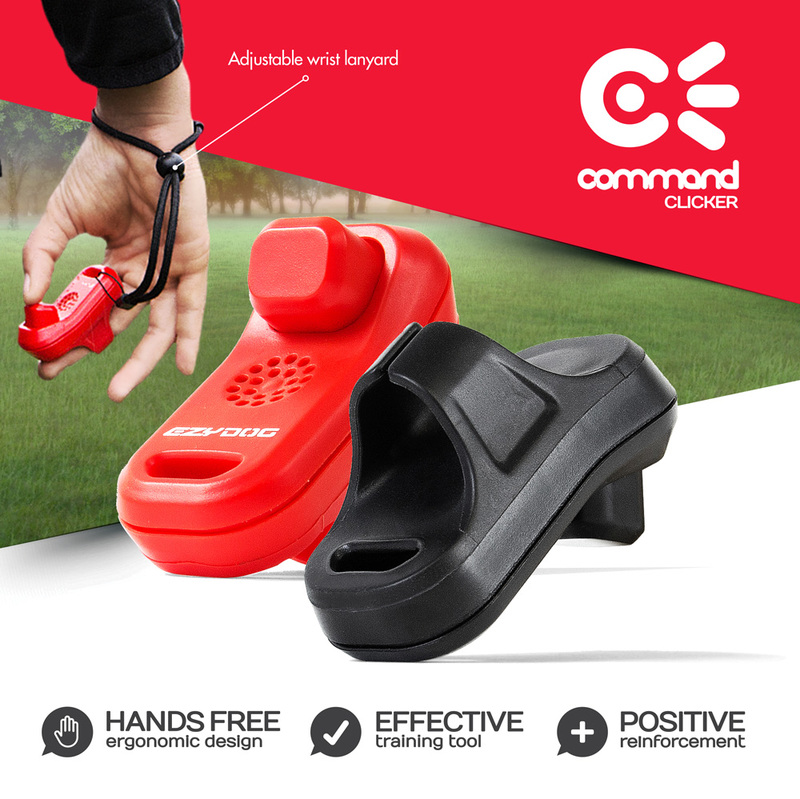 With it's unique hands-free ergonomic design, the Command Clicker is an effective dog training tool to reward positive K9 behaviour through repetition. Perfect if you are clicker training two dogs simultaneously. Universal Fit with a silicone clasp that expands or contracts to all finger sizes. The click provides an 'event marker', connecting positive behaviour with a reward. This clear form of communication, combined with positive reinforcement, is an effective way to train your K9 in a safe and humane manner. "Fantastic training tool and sits in the hand perfectly. Much better than clickers used from phone apps. " "The finger grip fits my hand well and the wrist strap makes it convenient for walking. I'm not sure how comfortable it would be if you had large fingers. Clicker itself is ergonomically correct and easy to use."